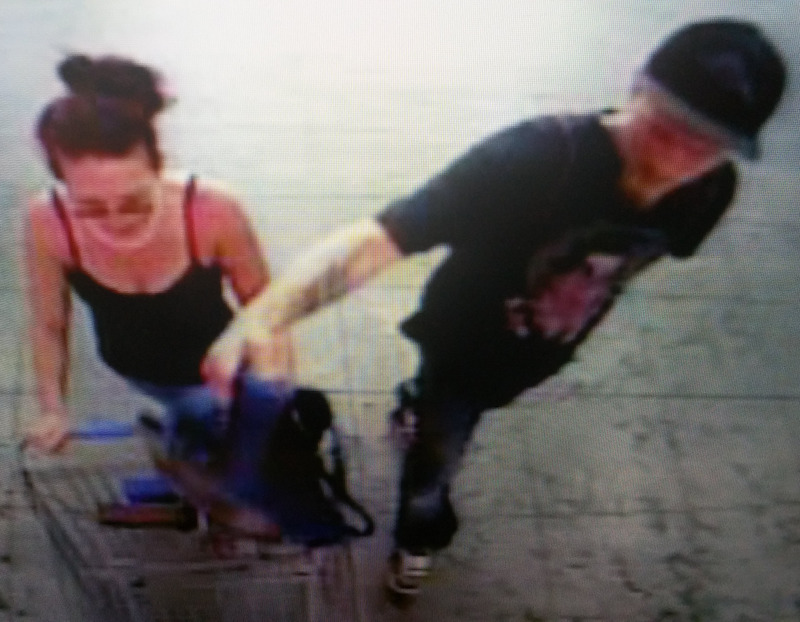 Crime Stoppers is requesting information that will lead to the identification of the suspects that stole food items on Sunday, September 13th around 1 p.m. from Walmart located at 2881 North Avenue. The first suspect is a white female with brown hair, approximately 24 to 28 years old, about 5’7” to 5’9” tall and 150 to 165 pounds. She was last seen wearing blue jeans, a black tank top and glasses. The second suspect is a white male with blonde hair, approximately 23 to 26 years old, about 5’10” to 6’2” tall and 160 to 170 pounds. He was last seen wearing a black t-shirt with an unknown graphic, blue jeans and a black baseball cap. 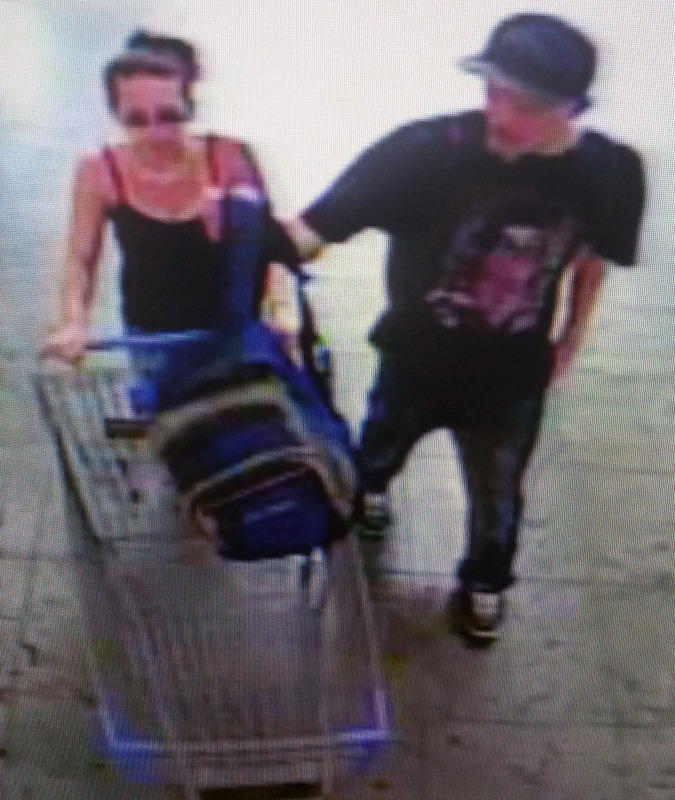 The surveillance photo of the suspects can be viewed at http://www.241STOP.com. 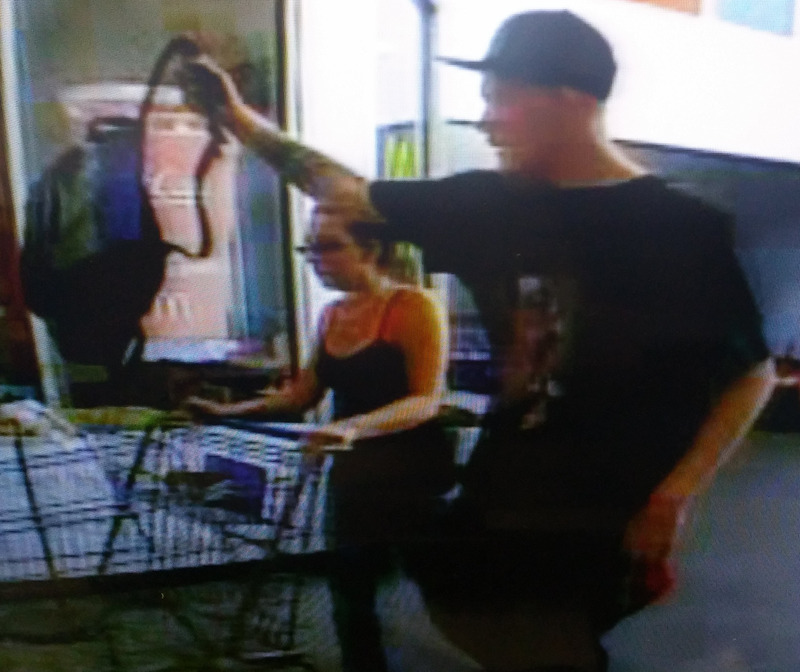 This entry was posted in Crime of the Week, GJPD News, The Insider on The GJPD Patrol and tagged crime stoppers, gjpd, GVCopBeat, MCCrimeStoppers, Thief, Tip of the Week, Walmart.